The Scottish Fold cat is characterized by their unique appearance. They display surprisingly round features: a round face, emphasized by flat ears; large, circular eyes; a short snout (compared to other cat breeds) and a round body structure with short to medium legs. The distinctive “folded” ears face forward and down toward the face. 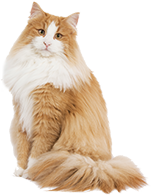 The fold is caused by a naturally occurring dominant-gene mutation that creates a crease in the cat’s ear cartilage. So what is it like to own one in Singapore? Laid-back by nature, the Scottish Fold cat is sweet natured, playful, loves attention and prefers to be around their companions. As the Scottish Fold cats adore company, they may become excessively timid or mercurial if deprived of attention. Being incredibly loyal, this cat breed establishes strong bonds with their family members easily — regularly following the chosen person from room to room, waiting for recognition or a friendly pat. This is an intelligent and active cat. The Scottish Fold cat enjoys teaser toys that test his agility and toys that challenge his intelligence. His favorite activity is anything that involves human interaction. Frequency should be once a week (short hair) and twice a week (long hair). The Scottish Fold cat has short dense coat that is easy to care for and requires little grooming. Regular grooming is advised to keep its coat in good shape. It helps to stimutlate circulation, massages the skin, and removes debris and loose/dead hair. Scottish Fold longhaired cat on the other hand may need more regular grooming and combing to maintain their coats and prevent mats. Always keep the Scottish Fold litter box clean. Cats are very particular about bathroom hygiene, and a clean litter box will help to keep the coat clean as well. Care should be taken with the nutrition of the Scottish Fold cat. As the breed is naturally round, she should not become overweight. The Scottish Fold cat can also suffer from health problems, especially due to faulty breeding as crossing within the same breed can often causes deformities. Folds that inherit the folded ear gene from both parents (homozygous Folds) are much more likely to develop congenital osteodystrophy – a genetic condition which causes the bones to distort and enlarge. Early warning signs include a thickness or lack of mobility of the legs or tail. 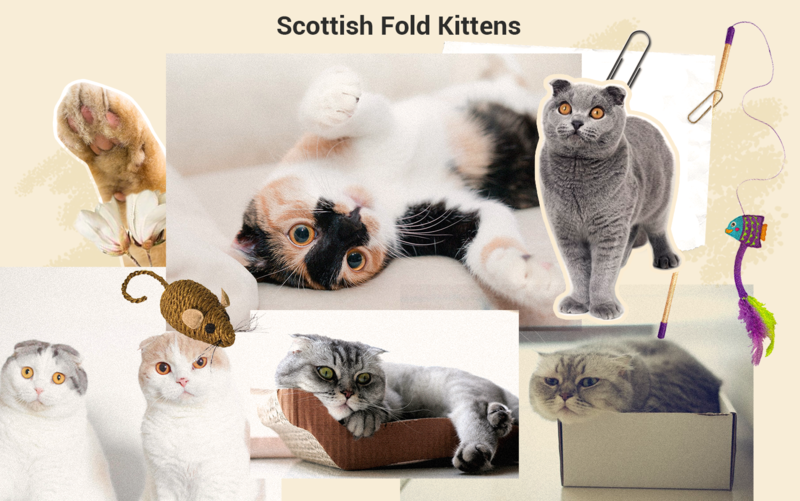 Overall, Scottish Fold cat is a highly adaptive, affectionate and gentle breed, making it easy to introduce them to a new surrounding provided it is properly introduced. The friendly, laidback Scottish Fold is a perfect choice for families with children and cat-friendly dogs. He loves the attention he receives from people who treats him gently and with respect, and he likes to play and is capable of learning tricks. Introduce pets slowly and in controlled circumstances to ensure that they learn to get along together! Contact us at +65 6250 6866 or Facebook PM us for all kittens enquiries and availability!